Uptech Engineering were established and engaged in Manufacturing, Supplying, Distributing, Importing and Exporting superior Magnetic Products to our clients. 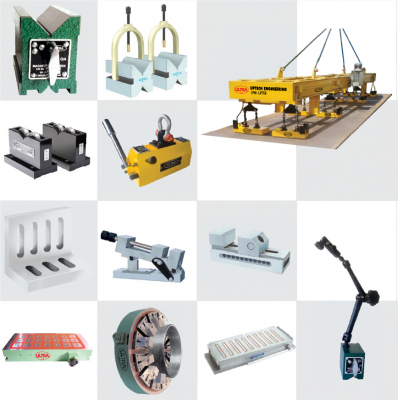 We have been famed quality in maintaining our line of products which include Magnetic Equipment, Inspection Instruments, Magnetic Chucks, Magnetic Lifters, Magnetic Components, V Blocks, Vices, Try-Squares, Sine Tables, Sine Vices, Magnetic Sweepers, Pot Magnets, etc. We offer these products based on client specifications. We have a team of quality analysts to check the quality of our products.